If the 2019 season were to start today, the A’s would enter the campaign with a rotation anchored by Mike Fiers and Marco Estrada, two veterans GM David Forst called the “most known commodities” among available starters. Frankie Montas, out of minor league options, is a virtual lock to break camp with the big club. And the final two spots will be battled for by Chris Bassitt, Paul Blackburn and Daniel Mengden with outside challenges from Jharel Cotton and Andrew Triggs, each of whom likely will not return from 2018 surgeries until after Opening Day. Whether it comes in late September, early November or somewhere between, the end of the 2019 season will feature a rotation with a completely different set of names. Jesus Luzardo, MLB Pipeline‘s No. 12 overall prospect, could challenge for an Opening Day roster spot. Perhaps still in need of some Triple-A seasoning though, that is unlikely. Still, the 21-year-old phenom will be in green and gold at some point this season, so will A.J. Puk, the No. 42 overall prospect, James Kaprielian and Grant Holmes, each a young fireballer among the top 10 prospects in the A’s system. The top ranked prospect among all left-handed pitchers league-wide, Luzardo could certainly see his name listed on the active roster come March 28. He has breezed through all other stops. Catcher Josh Phegley marveled at the fact that the former third-round selection of the Washington Nationals began the 2018 season with Advanced-A Stockton only to finish with Triple-A Nashville, at 20 no less. The catch with Luzardo is, when he finally did reach the Triple-A level last season he struggled. After going 9-4 with a 2.12 ERA in 19 starts between Advanced-A Stockton and Double-A Midland, he went 1-1 and allowed 13 runs in 16 innings (7.31 ERA) with the Sounds. Similarly, Puk has no real experience against Triple-A competition. For the first- and fourth-rated southpaw prospects however, that is where the similarities end. Luzardo, a generous 6-foot-1, is a student of the Pedro Martínez school of pitching — slight stature, over-the-top delivery and the fastball-changeup-curveball arsenal that goes with it. Puk, every bit of 6-foot-7, is a page directly out of the Randy Johnson book of nastiness, with a lower arm angle and the wipeout slider that goes with it. Puk, an invite to Spring Training last season, appeared to be on the verge of a big league debut then before his campaign was derailed by Tommy John surgery. Unlike Luzardo, Puk is not considered a challenger for an Opening Day roster spot, given his rehab from elbow surgery. While he does acknowledge that rehab processes should never be taken for granted though, Forst’s expectation is that the towering southpaw will be throwing off a mound in March and eligible to return and some point in 2019. The lesser-known duo of Oakland’s four arms-men each represent the final gifts of a pair of fan favorites. 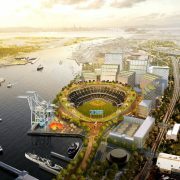 Holmes was brought to Oakland from the Dodgers in a trade that sent Josh Reddick and Rich Hill to Los Angeles. Kaprielian was acquired from the Yankees in the deal that sent Sonny Gray to New York. Kaprielian last pitched in a game in 2016 and is finally healthy following his own Tommy John surgery. Another hard thrower, Kaprielian has the ability to reach back for triple-digits and adds in a plus slider. The stuff and using it to get outs is not and has never been the question when it comes to the 24-year-old Southern California native, in two minor league seasons he brags a 2.45 ERA and 0.852 WHIP. His questions have more to do with healthy, though Forst seems unconcerned there as well, calling Kaprielian a “regular guy” health-wise entering camp. Holmes, in a recurring theme for this group, has the ability to cruise in the mid-90s with his fastball velocity and reach back for even more. His go-to off-speed pitch is a sharp curveball. He has used that combo to strikeout 457 batters in 440 career minor league innings, albeit at lower levels — he has never pitched higher than Double-A where he spent all of the 2017 season finishing with a 4.49 ERA. And he has his own sordid past when it comes to injuries, he missed much of last season with a rotator cuff injury pitching just six innings with Advanced-A Stockton. All four hurlers have the stuff and the reputation, and have had coaches vouch for their makeup at every stop along the way. 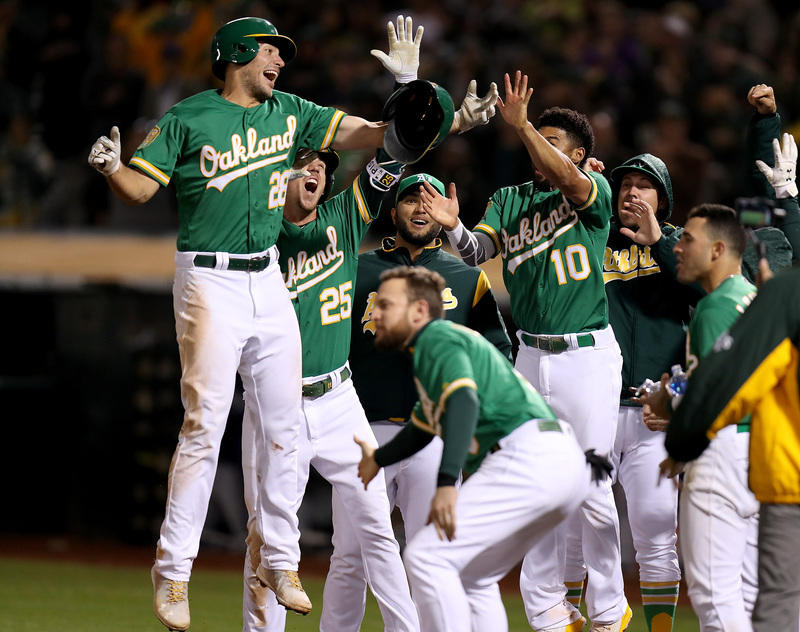 As if it were needed following a surprising 97-win season compliments of an already young core group of players, these four young arm have brought an injection of excitement to an A’s club that may be in need of pitching help before the 2019 season is done.